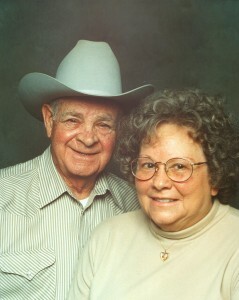 Carl Eugene Benne was born on Jun 28, 1932 to William H. and Katie May Benne. He was the eighth born of twelve children. Including Carl, there are five boys and seven girls. Carl attended Chisholm School for his first grade in September 1938, the one room school consisted of grades one through eight. He walked to school two miles with his two sisters and one brother. In the late summer and early fall of 1940 the family moved to a farm located at northeast corner of Pennsylvania and Coffee Creek Road. There Carl attended a country school named Prairie Bell. It was also a two mile walk to school and back. After two years, the school closed. The students were transferred to Deer Creek School west of Edmond, Oklahoma. 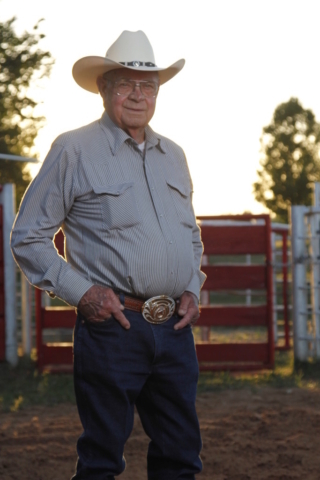 Growing up on his family’s farm taught him horsemanship skills that blossomed into an affinity for rodeo. Carl’s first public job was at Rodkey’s Flour Mill downtown Edmond for 2 years. He then worked at Tinker Air Force Base and retired after 37 years. Carl served in the United States Army from July 1952 to April 1954. He took his basic training at Ft. Leonard Wood, Missouri. He served in Korea from January 1953 to April 1954 with the 16th Combat Engineer. They built roads and cleared mines. He was discharged at Colorado Springs, Colorado. He held the rank of Staff Sergeant. Carl married Mary Lou Stewart of Oklahoma City, on July 27, 1956. They have two children: Carl Wayne Benne and Kimberly Dawn Benne, three grandchildren and four great-grandchildren. 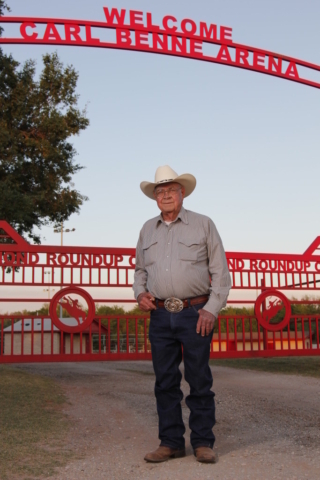 For decades, Carl Benne’s name has been synonymous with the rodeos at the Edmond Round Up Club. Carl first joined the Edmond Round Up Club when he was 17 years old. The location of the arena at that time was on Bryant between Danforth and Edmond Road (2nd Street), where the Kickingbird Golf Course is presently located. The Edmond Round Up Club didn’t have much activity during the 1950’s and resumed around 1961. Carl’s first official role with the Edmond Round Up Club was Parade Marshall, then moved on to a role as President. When the Edmond Round Up Club needed a place to hold rodeos and play days in 1966, Carl Benne stepped forward to help design and build an arena. When repairs were needed, Carl would go to the arena to set things right. Formally he has served approximately 30 years as President, also served as Vice President and Chairman many years. 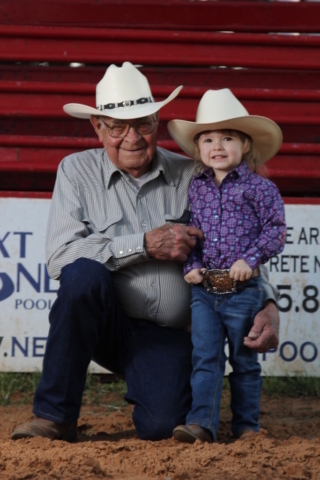 It has been over 20 years since Carl has saddled up and competed in the local rodeos, but he still volunteers much of his time at the arena and currently serves on the Board of Directors. 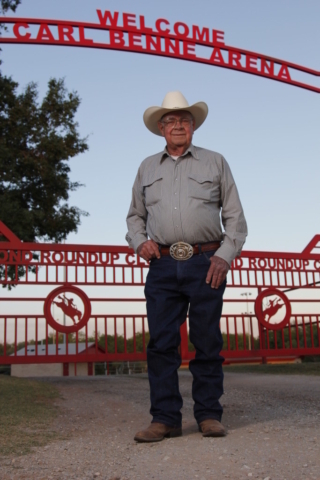 Carl and his son once team roped together at The Edmond Round Up Club, Carl Wayne picked up on it when he was only 11 years old. They team roped together for seven years and competed in team roping’s and rodeos. Despite his other interests, Carl’s main attachment is to the arena and the club’s members, especially the newest ones. The club’s junior rodeos, held from March to September each year, are among his favorite activities. All the guys he started out with, he is now seeing their grandkids out here now. Carl gets so much enjoyment out of watching all the youngsters start out. The Edmond City Council voted in January of 2003 to name the arena for the club’s long term member & former President Carl Benne. Although his days of roping steers are over, he still finds ways to spend time with his equine friends. Carl has two draft horses, Tom and Jerry, with these draft horses; he pulls a 30 Person Trolley, Buggy, Wagon, and Stage Coach, which he built himself. The 30-person trolley car he rents out for parties and such. He’s had some people hire out the surrey for weddings and proms, too. Carl Benne is truly an all around amazing person, for those of you who know him, you already know what a wonderful man he really is ! !